PCCP LLC has acquired a four-story, 138.4k sf Class A office building within San Francisco’s Showplace Square office submarket in a $120 mil ($867/sf) transaction. 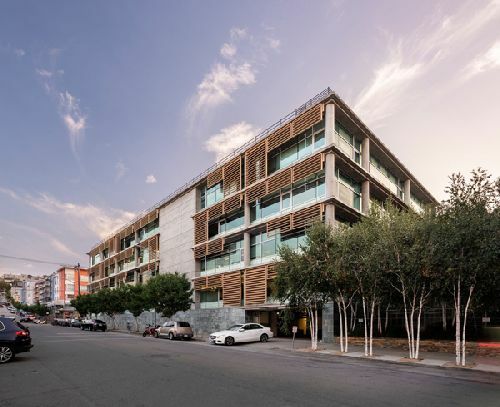 The fully occupied, multi-tenant property is located at 350 Rhode Island St in the city’s Potrero Hill neighborhood. The property features 35k sf floor plates and a modern, distinctive architectural design. Constructed in 2001, 350 Rhode Island was completed as two interconnected, four-story office buildings over three levels of subterranean parking. The buildings are now under separate ownership. Farhang noted that the parking structure component of PCCP’s acquisition provides added cash flow for the investment as it serves not only the subject building but the adjacent building and other office tenants in the area. San Francisco’s Showplace Square submarket, formerly a primarily industrial and showroom area, has seen a significant influx of tech firms over the past decade. Additionally, residential developers continue to deliver new housing supply into surrounding areas, providing an abundance of living options for high-income tech employees who work in this submarket. 350 Rhode Island is located directly across the street from Whole Foods, and proximate to numerous neighborhood amenities. The property is situated between Hwy 101 and I-280 along the 16th Street Corridor, at the confluence of the Mission District to the West, Potrero Hill to the South, SOMA to the North, and the Mission Bay neighborhood to the East.